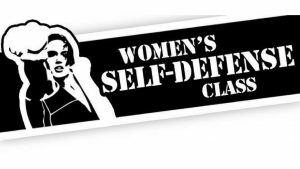 We are bringing the the New York Self Defense Academy to Force Fitness Club to conduct a 2-Hour SPECIAL Women’s Self Defense Seminar…..AGAIN….by popular demand! This seminar is designed to make you more aware, prepared and ready for any situation that may occur in your everyday life. NYSDA teaches you to avoid attacks altogether, but in the case that you cannot, they will teach you the most efficient and most successful techniques to defend yourself, from KRAV MAGA. Please reserve your spot in advance by Wednesday, 4/3. *20 women must be registered and present to conduct the seminar….so register EARLY!